The general understanding of karma is that if you do your bit with noble deeds then good fortune will come your way. For Maltese tech start-up Karmafy, the belief is resolute and takes pride of place in its charity games platform of the same name. Karmafy aims to benefit developers by boosting player retention and engagement to offset the cost of a portion of its profits going to various causes. 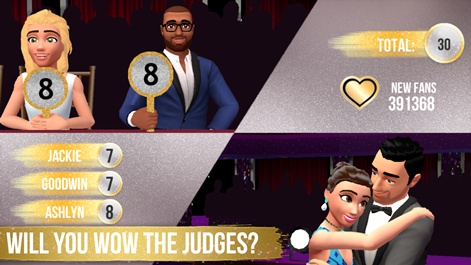 In a recent round of A/B testing, Karmafy teamed up with Exient to use the platform in its BBC and ABC licensed game Dancing with the Stars. Testing began in Australia and New Zealand before rolling out to Denmark, Norway, Finland and Singapore. With France and Germany added afterwards. According to Karamfy, revenues for the developer increased by 15 per cent once charitable dedications and Karmafy’s fee had been deducted. For various charities, on the other hand, Karmafy’s research found that players contributed to 16,224 weeks of safe and clean water on top of 69 square meters of land cleared from landmines. 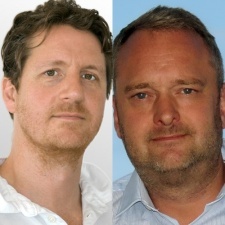 We caught up with Karmafy CEO Jonas Eneroth (pictured main, right) and chief evangelist Dave Mariner (pictured main, left) to find out more about its offering. PocketGamer.Biz: What makes this tool different from other tech? Jonas Eneroth: Karmafy is the only platform in the world that has applied the freemium model to charitable giving – we call it “Freemium Philanthropy”. By taking this approach we can deliver unique benefits to both players and developers. For players, possibly the most important difference is that you don’t need to spend any money in the game to make a difference. For developers, you no longer need to choose between “doing good and doing better”. Karmafy has proven that when you incorporate charitable giving in the right way, developers actually increase their profits. What are some of the key features in Karmafy? Dave Mariner: Karmafy gives players the freedom of choice over which cause to support as well as real-time feedback about the impact your support has on the world. Once you’ve selected an organisation, the more you engage, the more support goes to the charity of your choice. Driving the platform is a fully-fledged, extremely flexible gamification engine. It has all the usual features you’d expect from a gamification platform; achievements, badges, missions, leaderboards, rewards, plus an opt-in social graph to connect you with your friends and other players through the Karmafy ecosystem. We also expose our charitable rewards to the game, giving the developer the power to deeply integrate real-world accomplishments and in-game benefits. Imagine playing a city builder where you get a buff on clean energy because you help bring solar power to a village, or an INT boost in an RPG because you’ve helped educate a child. Why does Karmafy take a cut and what does that money go towards? Eneroth: Karmafy doesn’t take a cut from the charitable contributions. When we tell a player that their activity has brought clean water to someone in need, the entire cost of that social impact has been disbursed to the charity with no deductions. In fact, Karmafy covers the cost of distributing donations around the world. We are, however, a commercial organisation so we charge developers for our service. If we didn’t do this, then Karmafy simply wouldn’t exist. Asking your player base to join you in making the world a better place and putting the decision-making in their hands a very powerful message to send to your player community. Why do you think that “socially conscious gamers” will stick around longer, spend more and share more with their friends? DM: They feel better about supporting games developers who choose to give back to society as a whole. They feel valued that their opinion and actions count, and they get to see the impact that their participation has had on the world. We believe it because we’ve seen the numbers. Asking your player base to join you in making the world a better place and putting the decision-making in their hands a very powerful message to send to your player community. It is, if you will, a sign of respect and they respond accordingly. What kinds of developers is this tool for? Can indies use it? Eneroth: Karmafy is a performance multiplier, not a silver bullet, so realistically games need to fit a certain profile before it’s actually valuable to a developer to look at integration. If you’ve got working retention and monetisation loops, we can add real value from day one. That said, we’re passionate about helping indie devs as well as the planet, and are always happy to have a chat and give feedback on improving your performance from a general perspective. 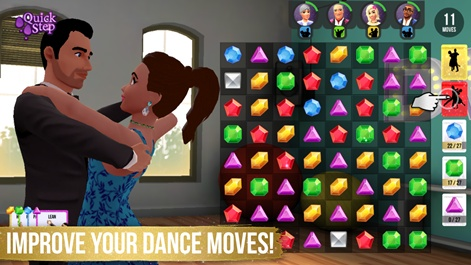 Primarily we’re focusing on the mobile free-to-play space, but we can definitely see Karmafy powering premium titles on other platforms as well. Any game that has a focus the value they provide to their players can benefit from the kind of social engagement that we offer. What are the licensing terms for the tool and how can developers implement it into their games? DM: The terms are really straightforward and work on a revenue share basis. We don’t charge an up-front fee, so it’s very much a “success-based” model. As Karmafy is opt-in from a user perspective (it’s very GDPR-friendly), so is our business model. If a player doesn’t opt-in, the developer keeps 100 per cent of the revenues from that player. The developer is only obliged to contribute when a player chooses to support a good cause. For those that do opt-in, you agree to donate a minimum of 10 per cent of the revenues from them to the charity pool, and we charge a service fee calculated on the same basis. If you want to donate a higher percentage, we don’t charge any extra. We designed it this way because we feel that it’s important for developers to see how well charitable giving resonates with players of their game without having much up-front risk. What features do you plan to add over the next year? Eneroth: We are enhancing our offering both in and outside Unity and web-based applications on the one hand. Enabling developers working with other engines is something we’re especially keen to make as simple as with our Unity offering. On the other hand, we want to develop service tiers to let developers work with Karmafy in a way that is convenient to them. Even taking it to a self-service level is in discussion and would be an awesome milestone for us. Tech talk: Can Coherent Labs rise as the new standard for game UI?